I write my column as the sun shines on Northumberland, a welcome break from the snow and storms of the past month. The winter weather hasn’t got in the way of what has been an incredibly eventful month however, and there is certainly much to look back on. The last week has seen the very welcome announcement that a total of £37million will be invested in two new schools for Hexham, meaning new school buildings for Queen Elizabeth High School and Hexham Middle School. When I became MP for Hexham in 2010, I decided to campaign for new buildings and more money to be invested in our local schools. As a result, we have seen a full rebuild in Prudhoe, and work on new buildings in Ponteland has also begun. To improve funding I launched the Fairer Funding Challenge and have secured increased money for our schools as part of the Fairer Funding Formula. 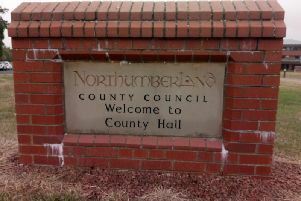 Schools in the Hexham constituency are receiving an average funding increase of 3.3 per cent, with some small rural schools benefitting by more than 10 per cent. This latest announcement means that every high school will have been completely redeveloped or seen significant refurbishment since 2010. I can’t wait to see the new schools when they are completed in the next few years. My relationship with the constituency’s schools is an incredibly important part of my job as MP. In the last few weeks I have visited schools including Gilsland, Prudhoe Castle, Ovingham Middle and Haltwhistle First and Middle Schools, and I am looking forward to welcoming pupils from St Matthew’s RC Primary School in Prudhoe to Westminster. Kielder is a stunning part of the Hexham constituency, and I recently visited Kielder Reservoir to meet some of the young people who work there for Northumbrian Water. This is a company that has provided a welcome boost to employment in the Kielder area. As well as the reservoir, Northumbrian Water also operates Landal Kielder Waterside, a tourist accommodation site at the heart of Kielder Water and Forest Park. It was fantastic to meet some of those who have found employment with Northumbrian Water, and to find out about what it has meant to their lives. January 27 was Holocaust Memorial Day, a day on which we can reflect on the tragic events and remember the victims and survivors of the Holocaust and subsequent genocides. I signed the Holocaust Educational Trust’s Book of Commitment to pledge my commitment to Holocaust Memorial Day and to pay tribute to the extraordinary Holocaust survivors who work tirelessly to educate young people today. It is so important that we make sure the Holocaust is never forgotten. It was great to see the new affordable housing that Gentoo is providing for local people in Prudhoe and the surrounding area. Gentoo is investing £79million to build new homes, and I enjoyed my visit to the development to see these quality homes in a beautiful area. Finally, the Countryside Alliance Awards, known as ‘The Rural Oscars’, celebrate the best of our local businesses, and I am so pleased that seven businesses from the Hexham constituency have been chosen from more than 17,000 nominations as finalists for this year’s awards. The businesses are nominated in the Pub, Rural Enterprise, Local Food/Drink and Village Shop/Post Office categories. Regional champions will be announced in May, and the North East winners will be invited to the House of Lords for the winners’ reception in June. I will be keeping my fingers crossed for success for our local businesses in May.